Panoramic views over South Cronulla Beach and out towards Boat Harbour, this ninth floor apartment in the prestigious "Cecil Apartments" offers an opportunity to secure the ultimate beachside position. 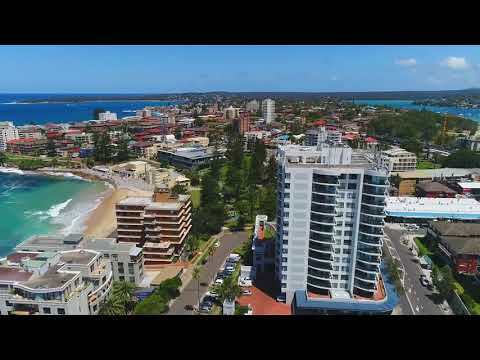 Capture this rare lifestyle opportunity that living within the heart of Cronulla offers, with beaches, restaurants and shops moments from your door. Blending open plan living/dining and showcasing breathtaking ocean views from the entertainers balcony. Comprising two generous bedrooms both with built in robes, master with large ensuite and spectacular views of South Cronulla Beach. Features include single remote lock-up garage, internal laundry, ducted air conditioning, security video intercom with dual lift access. Enjoying visitor car parking and meticulously maintained common areas.